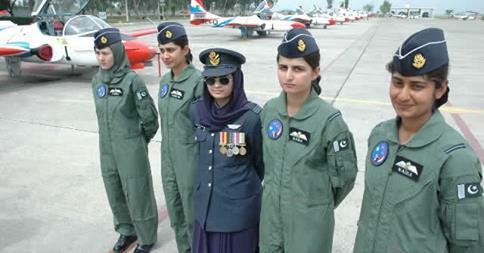 Ayesha Farooq, first to pass qualifying tests for combat, says she will do “same activities” as male colleagues. 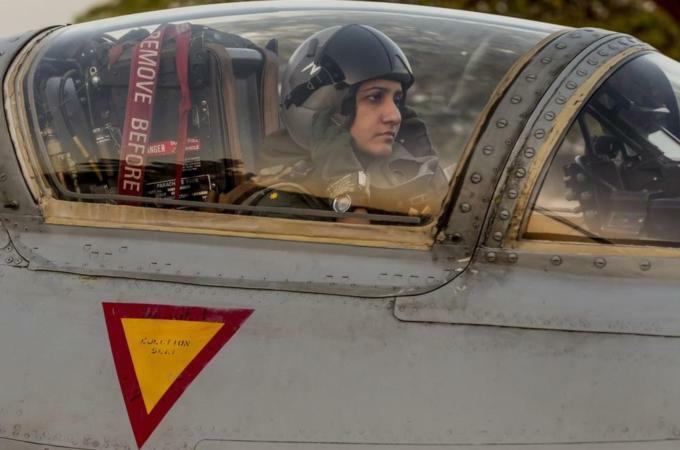 Pakistan’s first war-ready female fighter pilot has said she is ready to defend her country, and sees no difference between herself and her male colleagues when it comes to “precision bombing”. Ayesha Farooq, from Punjab province’s city of Bahawalpur, is one of 25 women who have become pilots in the Pakistan Air Force over the last decade. Out of the 25, there are five other female fighter pilots who have yet to take the final tests to qualify for combat, news agencies said on Thursday. Non-fighter pilots fly slower aircraft, ferrying troops and equipment around the country. “I don’t feel any different. We do the same activities, the same precision bombing,” the 26-year-old said of her male colleagues at Mushaf base in north Pakistan. A growing number of women have joined Pakistan’s defence forces in recent years as attitudes towards women change. “Because of terrorism and our geographical location it’s very important that we stay on our toes,” said Farooq, referring to Taliban fighting and a sharp rise in sectarian violence. Deteriorating security in neighbouring Afghanistan, where US-led troops are preparing to leave by the end of next year, and an uneasy relationship with India, add to the mix. Farooq was at loggerheads with her widowed mother seven years ago when she said she wanted to join the air force. Family pressure against the traditionally male-dominated armed forces dissuaded other women from taking the next step to become combat ready, air force officials said. 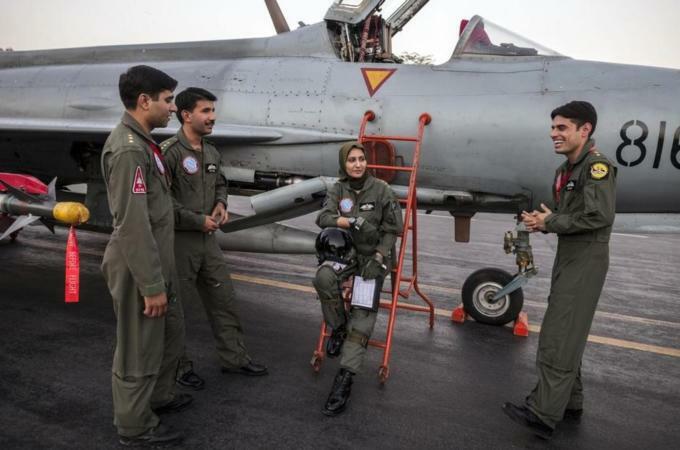 “More and more ladies are joining [the force] now,” said Nasim Abbas, Wing Commander of Squadron 20, made up of 25 pilots, including Farooq, who fly Chinese-made F-7PG fighter jets. “It’s seen as less of a taboo. There’s been a shift in the nation’s, the society’s, way of thinking,” Abbas told Reuters news agency on the base in Punjab’s Sargodha district. But over the last decade, women have become sky marshals, defending Pakistan’s commercial liners against insurgent attacks, and a select few are serving in the elite anti-terrorist force. Like most female soldiers in the world, Pakistani women are still banned from ground combat. “In Pakistan, it’s very important to defend our front lines because of terrorism and it’s very important for everyone to be part of it,” said avionics engineer Anam Hassan, 24, as she set out for work on an F-16 fighter aircraft.